Now Crocs Have Launched A BAG And Please, Won't Someone Think Of The Children? Why do we have to keep writing these stories? How are there still more ways to wear Crocs? Who is buying this stuff? Here we go: After the controversial clog company's last successful collaboration saw their turf-covered shoes sell-out in minutes, Crocs have now pivoted to a new accessory. Yes that's right. 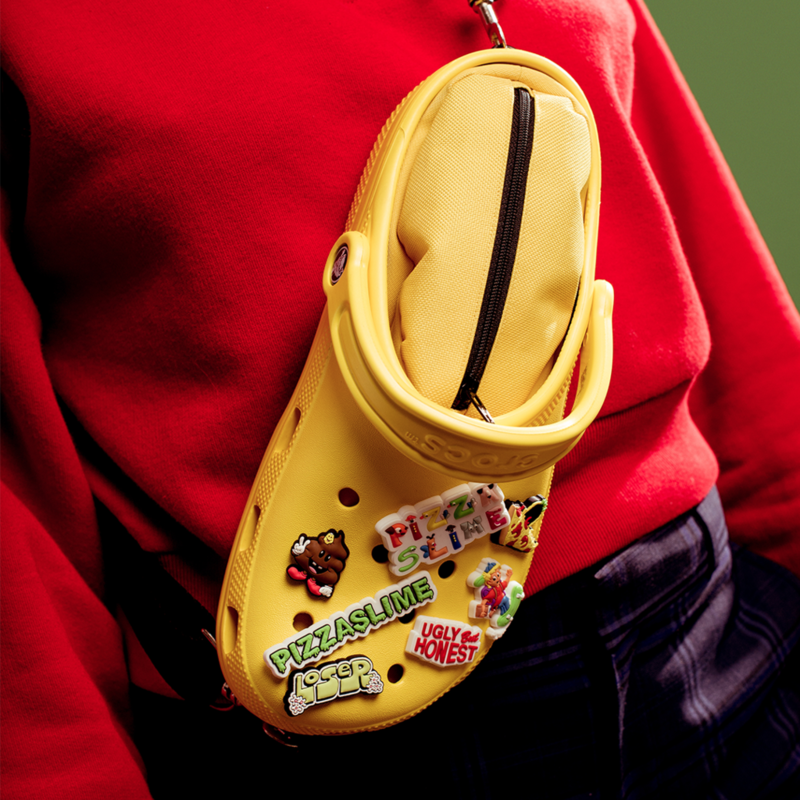 Not content with having their products on your feet, Crocs have teamed up with Pizzaslime (nuh, no idea either) to create a limited edition Crocs bag. It's not even a subtle nod to the Croc, either. It's literally a Croc that you can zip closed, hanging from a strap. It also comes in black, just in case you were looking for a more versatile colour, and includes "seven custom detachable Jibbitz". Did you know there was a special name for those charm badges you can attach to Crocs? Jibbitz. Go figure. Anyway, the good news is that there's only 25 of each, which means you won't see too many of them out in the wild. The bad news is that they cost about AU$410. The even worse news is that we doubt Crocs will stop here. Stay tuned for further rubber clog-inspired clothing.